Alex Chinneck has built a reputation for spectacular art installations in London including a suspended piece of Covent Garden market, a melting house and an upside down car. 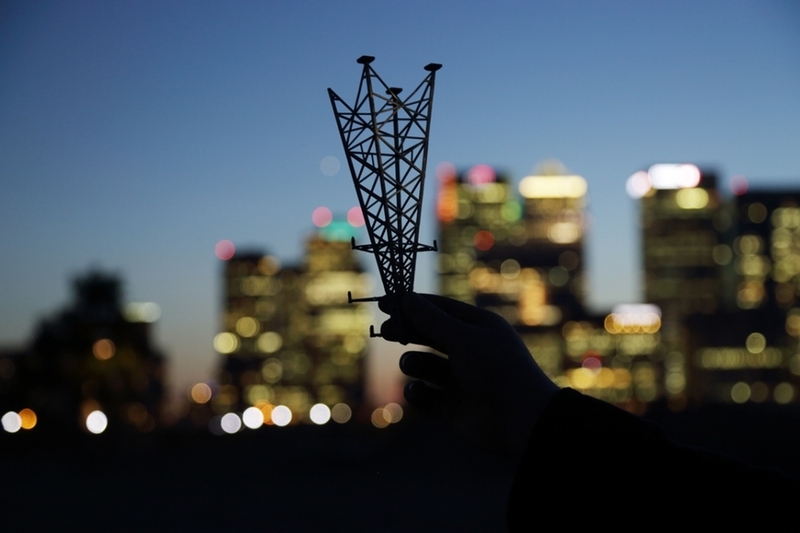 Now he's playing with electricity pylons. 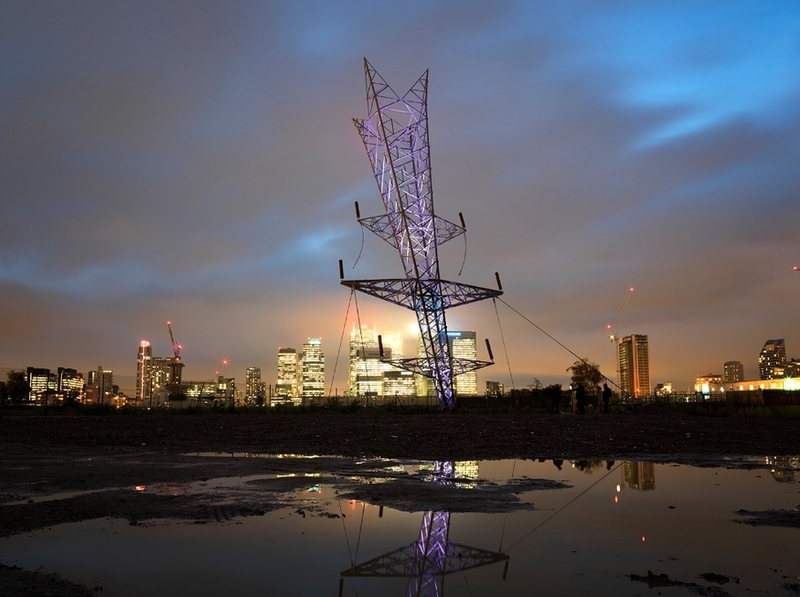 His latest work on the Greenwich peninsula is a 15-ton 35-metre tall inverted pylon, which looks like it has fallen out of the sky and embedded itself into the ground. 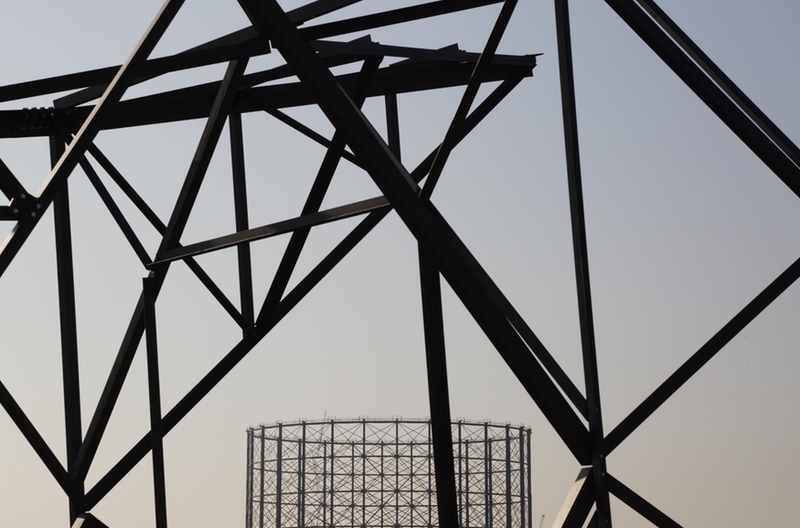 It's been put in place in conjunction with London Design Festival, and will be lit up at night — visible from the Thames Clipper, Emirates Airline and to planes landing at City Airport. This is another pair of surreal artworks from Chinneck, and like his previous works, one that's likely to be a talking point. 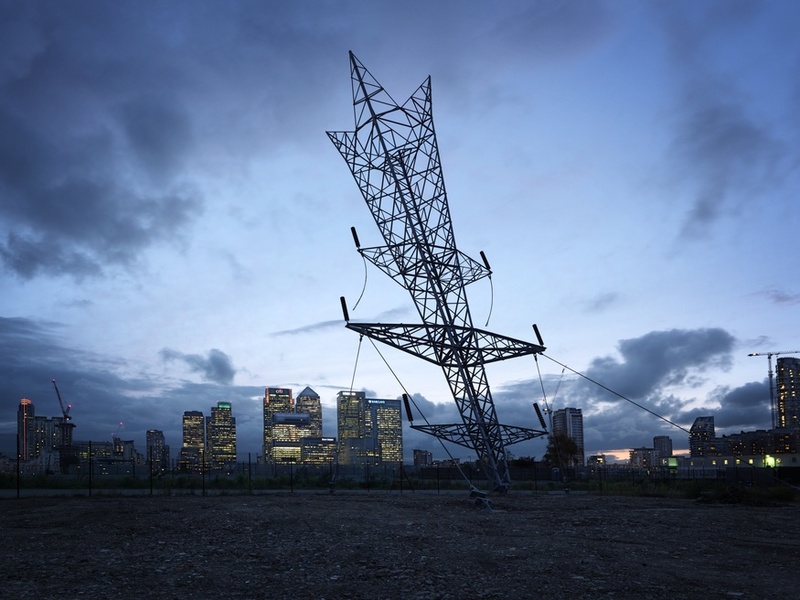 Alex Chinneck: A bullet from a shooting star and Straight jacket star jumps are on at Greenwich Peninsula and NOW Gallery respectively. Both are free to visit and on from 19 September-10 January. For more outdoor sculpture try to walk The Line or explore Sculpture in the City. 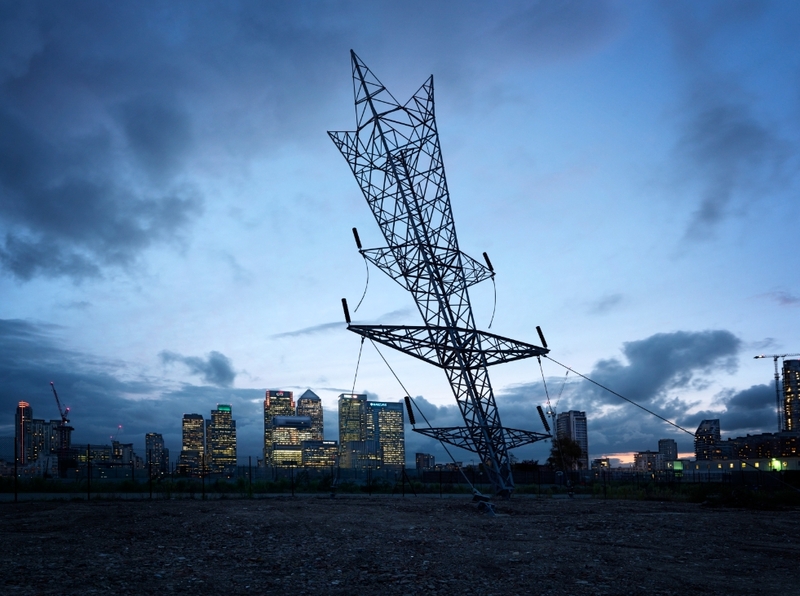 Striking art, or an upside down pylon?